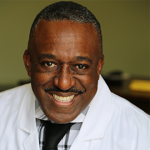 I want to create a partnership between patient and physician in the healing process, to re-direct the focus of medicine to health and healing, and to focus on the whole person including the mind-body-spirit connection to wellness. 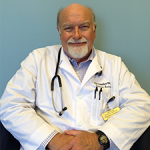 As an integrative physician, my goal is to help people focus on health and wellness. I prefer to teach patients self-help skills and provide them tools to transform their life rather than prescribing them medication. If I could, I’d love to hand a patient a pair of running shoes and a tasty plate of vegetables instead of constantly scribbling out prescriptions. Pills are not always the answer. Your body often has the ability to heal and take care of itself if you are willing to make the lifestyle changes. "I absolutely adore Dr. Gater! She gives her complete attention to my questions and gives me not only the medical treatment necessary, but advises me on the preventative and alternative approach for my individual needs. She is very knowledgeable about vitamins and proper diet for my medical condition. There is an energy of wellness you feel immediately upon entering the facility."